When you buy a new home there will be things you will compromise on and things you won’t. We knew that we wanted 3 bedrooms, off the road parking, gas and a garden, but within what was available in our budget there were things we couldn’t be so picky about. For us it was distance from a station, for others it might be the size of the garden. 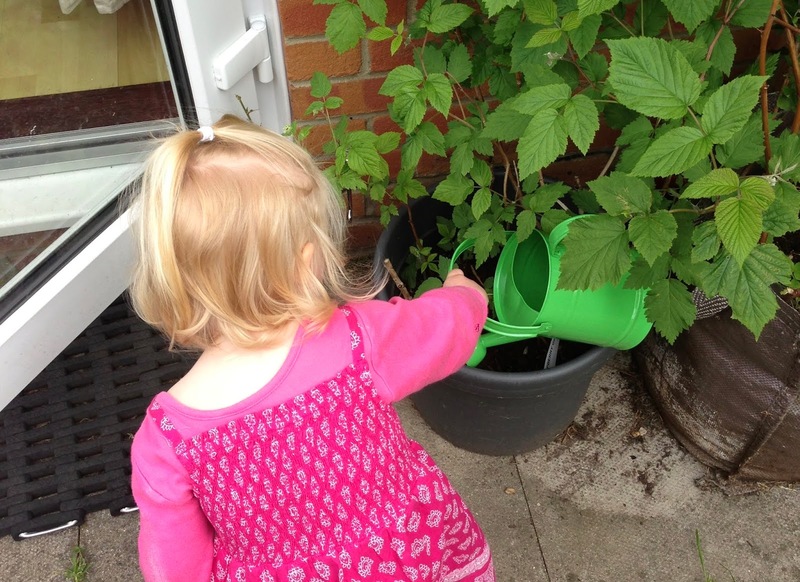 A garden is a great place for children to play, to grow things and to relax. There is plenty you can do with a small garden so if you have had to choose a smaller garden than you would like here are a few ideas about how to make the most of it. Love to grow things? Squeeze in a mini greenhouse! Greenhouses don’t need to be the full size, walk-in sheds of glass you normally think of, they actually come in lots of different shapes and sizes. They are a great way to grow your own vegetables in cooler temperatures and they protect your crops from many pests too. Whatever size your garden is you can probably find space for a mini greenhouse if you are creative with the space. In a small garden, it can often be difficult to fit enough foliage into the space that you have, which is why taking advantage of every piece of space available to you can be so beneficial. If you want to ensure that your garden is packed full of beautiful blooms and lots of greenery, you may need to think in the box, the window box that is. If you add planters under windowsills in your garden it leaves the ground free while adding a splash of colour to the space. Every garden needs a relaxation area, somewhere that you can go to have a cup of tea in the sun, go to unwind or use for holding social events and get-togethers. If your garden doesn’t currently have decking or a patio space then adding one could create an all weather, great looking space. Using decking boards, you can easily build an amazing garden deck that offers a smart, stylish space to relax in. They also make a great space for children to play on all year round without you worrying about them getting muddy. You might not have thought about putting shelves in your garden before, but they are great way to ensure you can fit as much in as possible in a small space. If you want to add more plants and potentially accessories to your outdoor space, incorporating shelving could be a great way to do this. Whether it’s stone or solid, treated wood shelving, it doesn’t matter, just as long as you choose a design that fits seamlessly into your garden and enhances the space. The walls in most gardens end up being forgotten about, but they are a great way to make more of your small garden. There are lots of ways to do this from: hanging planters, adding outdoor lighting or stringing up outdoor bunting or solar powered fairy lights. These can really transform how your garden looks and turn it into a space that really reflects your personality. 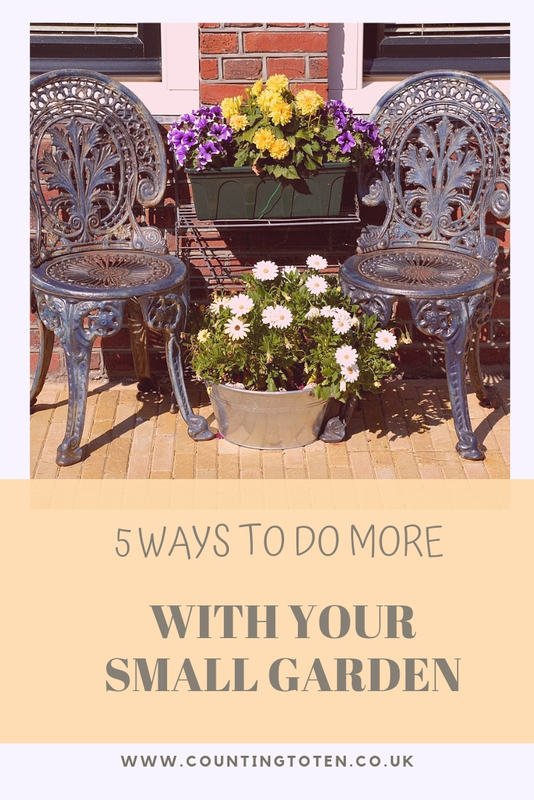 These are just a selection of ideas and inspiration for how you can make more of a smaller sized garden. Think about sort of space you want and how you would like to use it and you can definitely get more from your garden. Hopefully, the ideas above will give you the inspiration that you need to create the most amazing space that you and your family will cherish and enjoy.